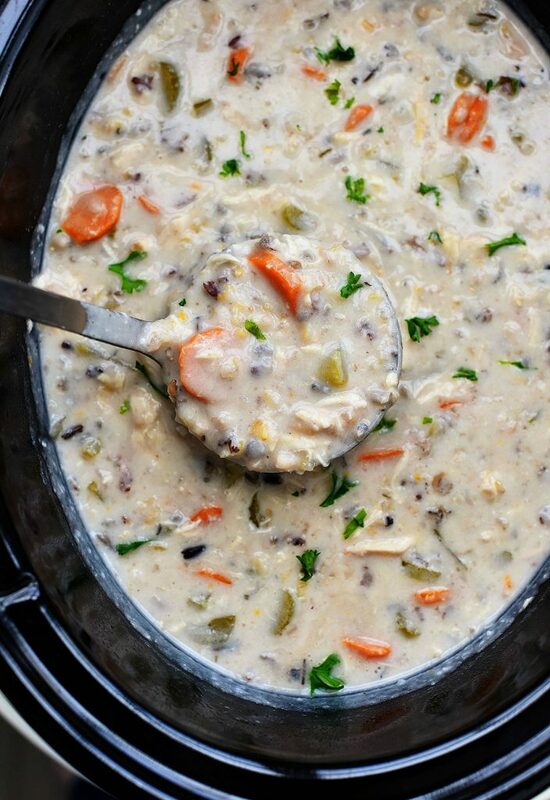 CROCK POT CHICKEN AND WILD RICE SOUP is so tasty and delicious. 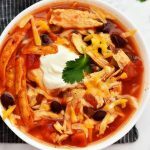 All the flavors of the veggies combined with the rice and chicken make this soup yummy, hearty, and filling! 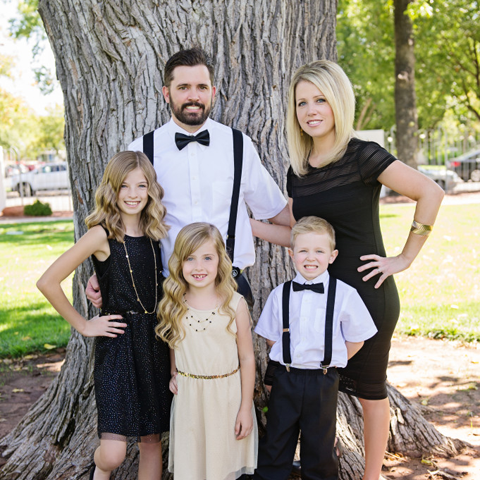 Happy first day of Fall! My favorite time of year is officially here and I am so happy! 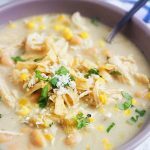 I thought sharing one of my favorite soups would be perfect for today. 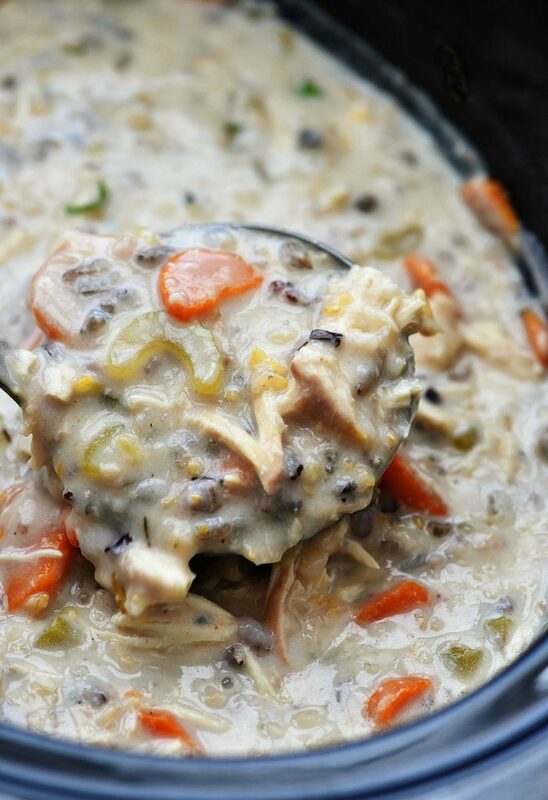 This CROCK POT CHICKEN AND WILD RICE SOUP is so tasty and delicious. I can’t get enough of it. 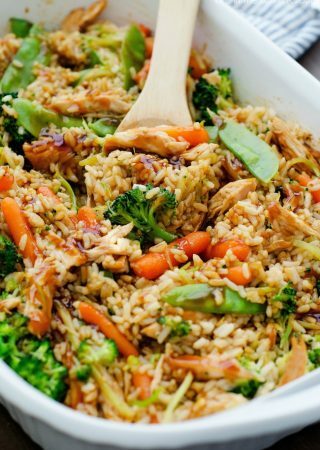 I love all the flavors of the veggies combined with the rice and chicken. It’s super hearty and filling plus pretty healthy if you ask me. 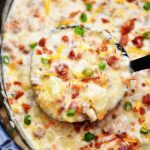 This is another throw it in the crock pot before work type of recipe, and when you get home dinner is waiting for you. Well almost. You only have a five minute step to do then dinner is done. It’s really so easy and well worth it. I like to serve breadsticks with this. You dunk them in and soak up all the yumminess. So good! Season chicken with salt and pepper, to taste. 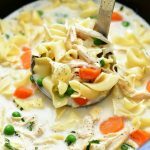 Place chicken into a 6-qt crock pot. Stir in chicken broth, wild rice, garlic, onion, carrots, celery, thyme, rosemary and bay leaves; season with salt and pepper, to taste. Cover and cook on low heat for 6-8 hours. Or on high for 4 hours. Melt butter in a saucepan over medium heat. Whisk in flour until lightly browned, about 30 seconds. Whisk in milk and half and half, whisking constantly, until slightly thickened, about 5 minutes. Stir chicken and milk mixture into the crock pot. If the soup is too thick, add more milk as needed. 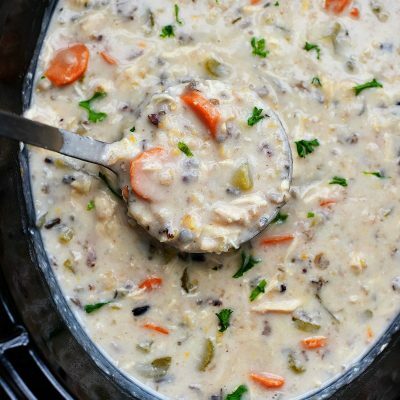 In the chicken wild rice soup recipe you call for half & half? What’s that? I’m in australia, is that skim milk? Half and half is what a lot of people use in coffee here. It is half milk, half cream. There is eight cups of liquid in the soup ~ that is equal to two quarts of soup not including the other ingredients. 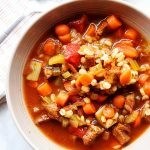 I think you could double, even triple the recipe based on the size of your slow cooker! Made it loved it. Will definitely make it again and again.